Our hearts ache for those in the Gulf region experiencing the devastation of Hurricane Harvey. I have heard from Reid Joyner, the Episcopal Relief and Development Coordinator for The Diocese of North Carolina. As the rain continues to fall and the floodwaters continue to rise, Episcopal Relief & Development shares this message regarding its response to Hurricane Harvey. 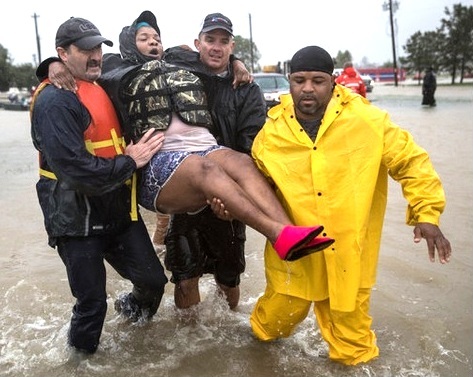 For parishioners of St. Paul’s wishing to offer financial support please go to: www.episcopalrelief.org/hurricaine-harvey-response. Our thoughts and prayers are with all those suffering from this devastation. Bishop Andrew Doyle, Bishop of The Diocese of Texas offers this prayer. Heavenly Father, in your Word you have given us a vision of that holy City where the earth will be filled with the knowledge of the glory of the LORD as the waters cover the sea: Behold and visit, we pray, the cities of the earth devastated by Hurricane Harvey. Sustain those displaced by the storm with food, drink, and all other bodily necessities of life. We especially remember before you all poor and neglected persons it would be easy for us to forget: the homeless and the destitute, the old and the sick, and all who have none to care for them; that, among all the changes and chances of this mortal life, we may ever be defended by your gracious and ready help; through Jesus Christ our Lord. AMEN. Please be as generous as you can both with prayer and financial help.